When I moved to Seattle, my first job was publicist for the Space Needle. Besides knowing random trivia like the Space Needle is as high as Elliot Bay is deep, it was around the same time that the Sonics were playing the Bulls for the national championship. We painted the player’s jerseys on the roof only to realize Shawn Kemp’s number was wrong. #Fail. But looking back it was a pretty cool gig. So I was really excited to meet Ron Sevart, the CEO of the Space Needle who came along well after I’d left my mark on the city’s icon. I knew Ron was going to be a cool guy because you can’t be the CEO of a place like the Space Needle and be a jerk. Riiiiight? Spending more time being in the moment with my family. I need to make sure that my kids ages 14, 12 and 10 years old know that the moment dad walks in, they’re the most important thing. 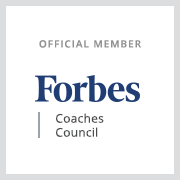 What is the 1 behavior or trait that you think every leader must have? Optimism or hope, though hope doesn’t come with a plan. You have to believe you can accomplish something that’s never been done, which may mean you have to be a little foolish in that belief. You have to have that optimism that it has not been done before, but we could do it. What is the advice you received early in your career but didn’t believe until now? Saying no is the toughest thing you’ll do, but at times the most important. You only have so much capacity – and if you say yes to everything – you’re not saying yes to the most important things. At times you have to say no – in order to focus on the highest and best use of your time for the organization. Who has had the biggest influencer on your career/leadership? I’ve been fortunate to have been in junior positions, and ended up sitting close to the CEO’s office. I don’t know if I scared them so much, they wanted me nearby, but when you’re close to the CEO’s office – you hear what the CEO doesn’t hear. You hear the echo of what the person who’s just leaving his or her office experienced, which could be frustration or being uplifted. I paid attention and learned that despite all of them being successful, they all had really different leadership styles. Here is my interview from the Puget Sound Business Journal that ran on January 8, 2016. Read the full article here. Ron Sevart has served as CEO of the Space Needle since 2008. Built for the 1962 World’s Fair, the Space Needle serves as an icon of the city and a landmark of the Pacific Northwest. What’s the Space Needle’s best-kept secret? The public perception is that the city owns the Space Needle, but that’s not true. Sometimes when we propose something, the reaction from the community is that “taxpayers” are going to have to pay for it. Actually, the Wright family owns the Space Needle and we are privately funded. Currently, the second generation is at the helm. Our chairman of the board is Jeff Wright and the four siblings are on the board and actively involved. What excites you most about your job as CEO? Before this, I was in the water resort theme park business and we saw about 55,000 visitors a day. What excites me about the Space Needle is being able to push my passion for guest services all the way through to the front line. If you work at too big of a company, you’re always a few steps away from the guest’s experience. Here, we have about 500 employees, so we’re able to design a guest services program together and make it happen. What’s keeping you up at night? Less and less. The better I get as a leader the less I stress I have. Alignment is the holy grail of business, and we really have the best alignment we’ve ever had with what we do on a daily basis and our long term goals. That’s comforting when you see that improvement. You mentioned “improvement.” When you started, what did alignment look like? About five years ago, I started a staff meeting by asking everyone to take out a blank sheet of paper and write down our vision and mission statements. After a little while, half the group essentially gave up. HR got close with about half the right words. I realized is that if the senior leadership team doesn’t know our vision and mission, how can the front line team know it? At that point, they were just words on the wall. We spent two years revising it, and then it finally hit us. It’s two simple words: Transform moments. That ‘s all we have to do, whether you’re the Sky City Restaurant or designing the website, all you need to do for the people in front of you is transform the moment. Who has had the biggest influencer on your career/leadership? I’ve been fortunate to have been in junior positions, and ended up sitting close to the CEO’s office. I don’t know if I scared them so much, they wanted me nearby, but when you’re close to the CEO’s office – you hear what the CEO doesn’t hear. You hear the echo of what the person who’s just leaving his or her office experienced, which could be frustration or being uplifted. I paid attention and learned that despite all of them being successful, they each had really different leadership styles. How do you describe your leadership style? I lead by finding the balance of what is possible in the organization, while respecting the needs of the team. If you think about the military’s approach, it’s ‘mission and men.’ And when you’re too focused on the mission or the men – you miss one. I use some evolution of that by looking at what the company can accomplish, and checking in with the team to see if it’s what they want to do. Then, we try to make it happened. What’s been you proudest accomplishment at the Space Needle? 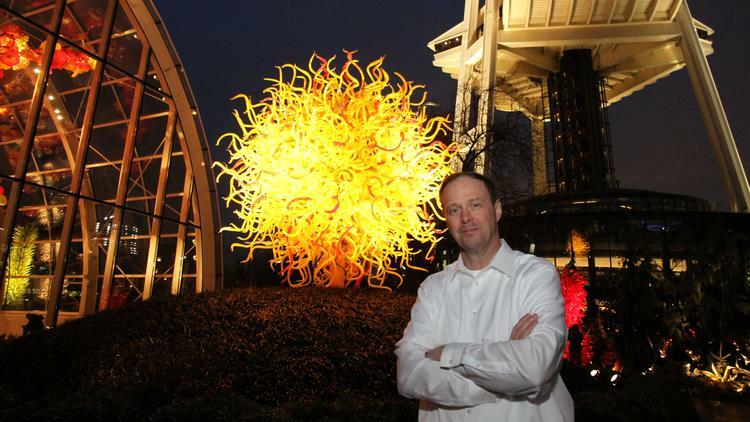 Launching Chihuly Garden and Glass, because it embodies that long-term thinking. There were days when we questioned whether it was worth it, or are if we were missing something? But all it took was opening the doors that first day and seeing how blown away people were. We did something really special for the community that really improved the Seattle Center campus. What are your pet peeves? I call it a quirk. Every morning, I prepare for all my meetings, so I don’t like it when meetings are moved at the last minute. I respect other people’s time and don’t see my time as more important, but if everything is last-minute and urgent, we have a problem. Who is a local leader who you admire and why? Jeff Bezos because he’s so committed to a long-term vision of things – and is willing to be misunderstood for a long period of time to build something amazing. What should Seattle expect from the Space Needle in the next 10 years? We are making the biggest reinvestment back into the Space Needle that’s ever been done. We are planning comprehensive upgrades from the bottom to the top, from new elevators to better views. This will ensure our relevance for the next 50 years.